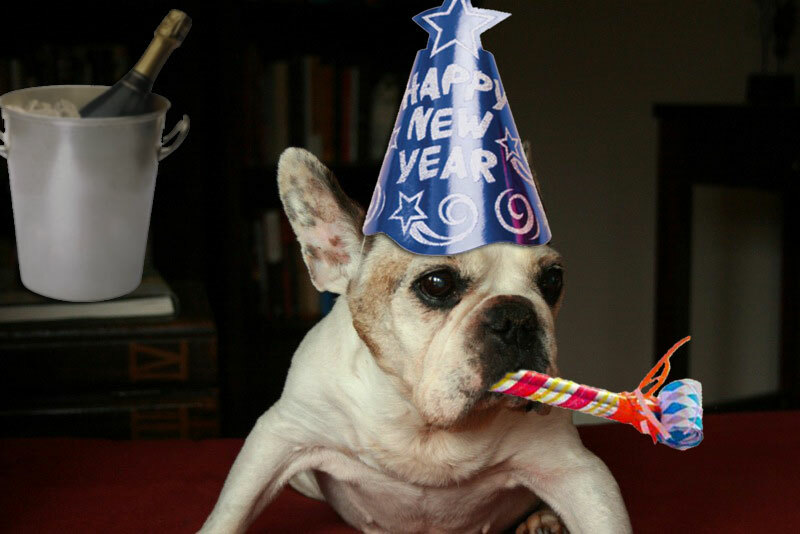 Happy New Year, from myself, Sean and all the Bullmarket Frenchies (plus Petal, the cat). Have a great time, but take Tessa’s advice and don’t over do the champagne – it leaves less room for the caviar. If part of your New Year’s Resolution this year is to eat better, you’ve probably been thinking a lot more about labeling. After all, eating better food (and food that’s better for you) is more complicated than it seems. Labels can hide a myriad of secrets – fat levels versus calorie counts, cane sugar versus corn syrup. The same is true for the foods our pets eat. Pet labelling laws allow for a world of rather ‘interpretative’ descriptions of what the foods we feed our pets are actually made from. Labeling restrictions are mainly defined by AAFCO (the American Association of Feed Control Officials). AAFCO’s guidelines, however, don’t cover some of the newly emerging terms sometimes adding to pet food packaging, such as “All Natural” or “Organic”. Here are some examples of what AAFCO’s labeling guidelines do cover – a set of descrptions sometimes known as the ‘named ingredients’ rules. The ‘named ingredient(s)’ must make up at least 95% of the product by weight. A real life example of this would be Tripett’s Green Tripe for Dogs. The named ingredient (in this case, tripe) makes up 95% or more of the ingredients in this food. Must have a total portion of 25% chicken, rice, fruit and vegetables, with each of those accounting for at least 3% of the ingredients. The other 75% of ingredients in this food can consist of just about anything. The only requirement is that the named ingredient accounts for three percent or more of the total ingredients in the food. There is no specific percentage of ingredients required to conform to ‘flavoring’ labels, but the product must contain enough of the flavor to impart the claimed taste. They may use any of an assortment of products to achieve this, however – ie; beef stock for beef flavor, chicken pumice for chicken flavor, etc. The food meets the AAFCO limits for a reduced calorie diets for overweight cats and dogs. The other labeling requirements still apply, in addition to the reduced caloric count. Protein in the product comes from non grain sources – in other words, no corn protein can account for the protein count in the food. However, this does NOT mean that the food doesn’t contain ‘other’, non protein source grains (oatmeal, amaranth, barley). What Black Friday is to Americans, Boxing Day is to Canada and the UK (albeit with less hysteria, and much politer queuing). Boxing day was traditionally a day the servants had a day off from their duties. Because of this the gentry would eat cold cuts and have a buffet style feast prepared by the servants in advance. In modern times many families will still follow this tradition by eating a family style buffet lunch, with cold cuts rather than a full cooked meal. It is a time for family, parlour games and sports in the UK. The traditional recorded celebration of Boxing Day has long included giving money and other gifts to those who were needy and in service positions. The European tradition has been dated to the Middle Ages, but the exact origin is unknown and there are some claims that it goes back to the late Roman/early Christian era; metal boxes were placed outside churches used to collect special offerings tied to the Feast of Saint Stephen. In the United Kingdom it certainly became a custom of the nineteenth century Victorians for tradesmen to collect their “Christmas boxes” or gifts in return for good and reliable service throughout the year on the day after Christmas. The exact etymology of the term “Boxing” is unclear, with several competing theories, none of which are clearly true. The establishment of Boxing Day as a defined public holiday under the legislation that created the UK’s Bank Holidays started the separation of ‘Boxing Day’ from the ‘Feast of St Stephen’ and today it is almost entirely a secular holiday with a tradition of shopping and post Christmas sales starting. I did my Boxing Day shopping, mixed in with a generous helping of French Bulldog artificial insemination (because nothing says ‘festive’ like driving three hours round trip to get progesterone and cell cytology done). I did also pick myself up two very special gifts, but I’ll talk more about those later, once they’ve arrived. 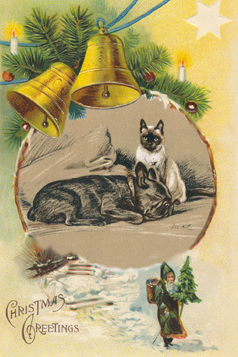 Merry Christmas, from Carol, Sean and the Bullmarket Frenchies. Enjoy this utterly tripped out version of ‘Jingle Bells’, and don’t eat too much turkey. It wouldn’t be Christmas without it.. Without the movie “A Christmas Story”, that is. https://i0.wp.com/www.bullmarketfrogs.com/wp-content/uploads/2015/04/Brindle_pied_frenchbulldog.jpg?fit=662%2C662 662 662 Carol http://www.bullmarketfrogs.com/wp-content/uploads/2015/06/bullmarket-logo.png Carol2009-12-24 00:43:342009-12-24 00:43:34It wouldn't be Christmas without it..